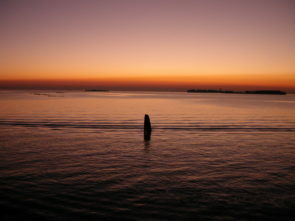 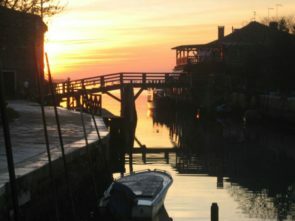 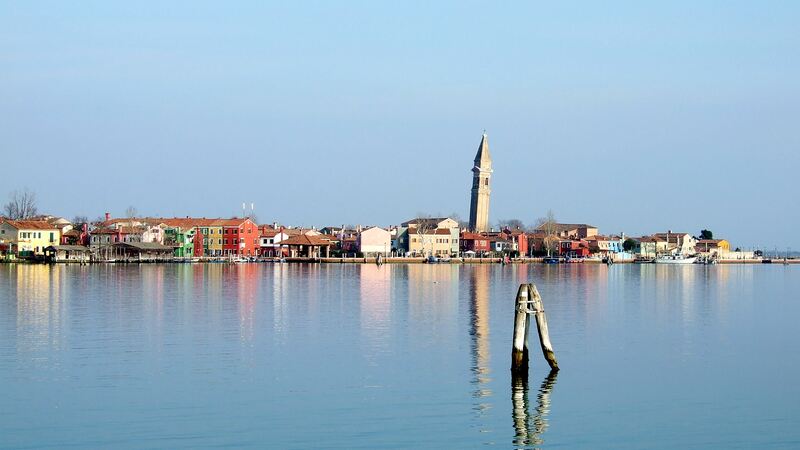 In the northern part of the Adriatic Sea there is the Venice lagoon, enchanting a romantic locality; a must for all international tourists visiting northern Italy. 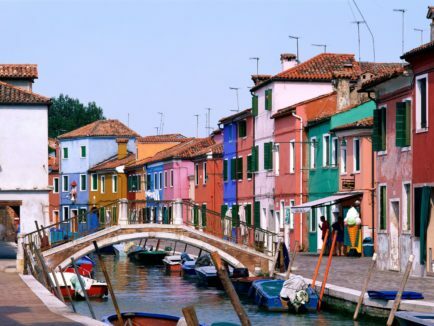 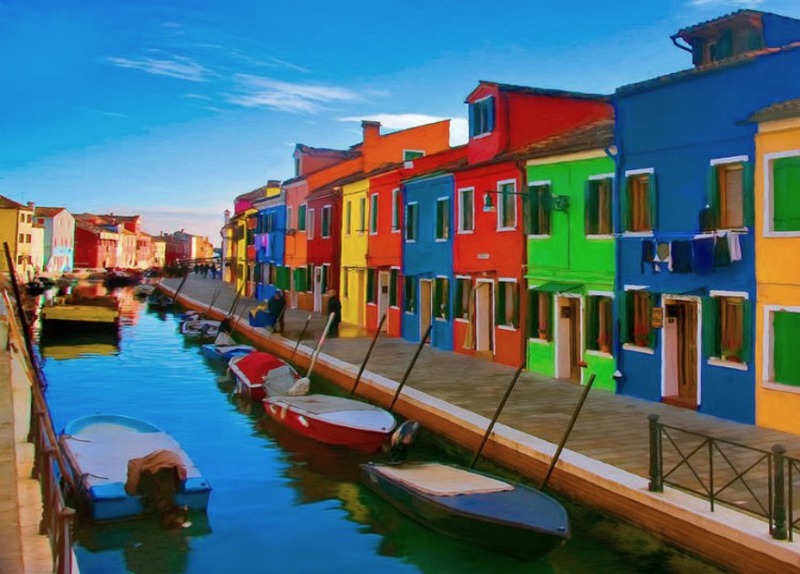 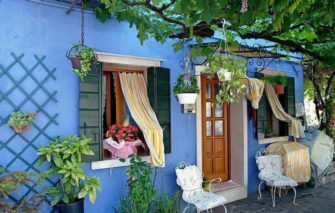 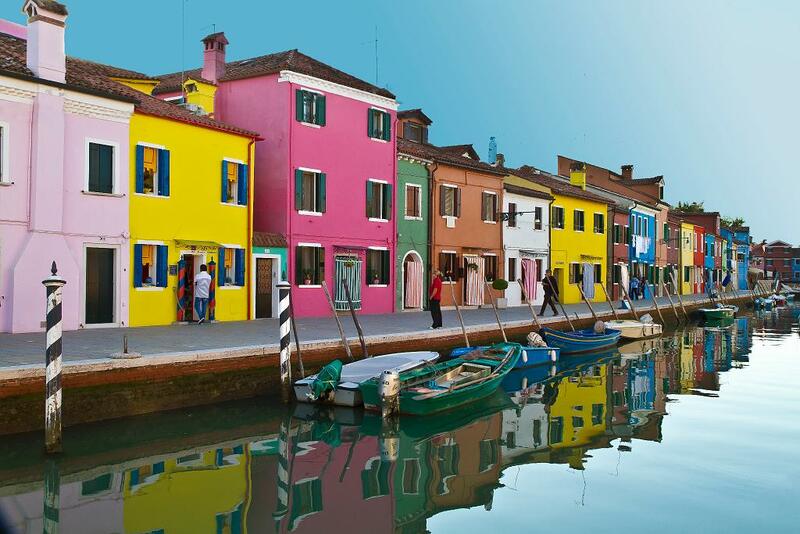 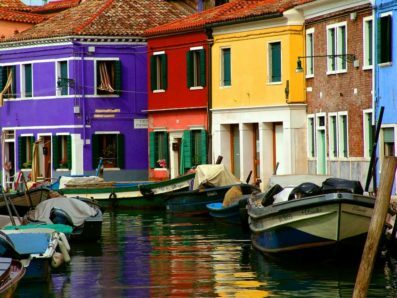 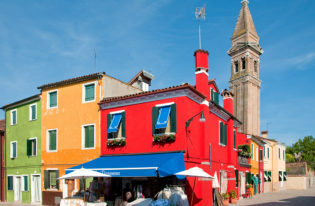 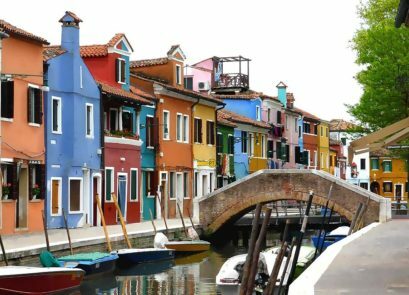 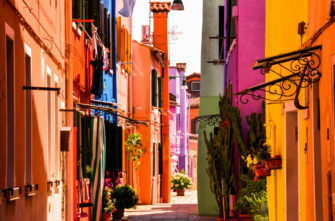 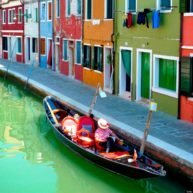 In the lagoon, just 11 kilometers from the center of the famous Venice, there is the island of Burano, which has a population of about 3000 inhabitants, it is famous in the world for the many bright colors, of its houses. 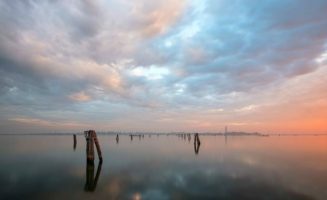 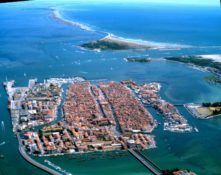 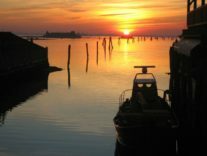 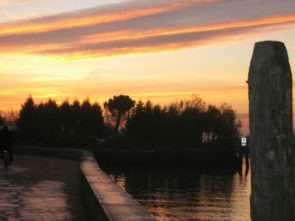 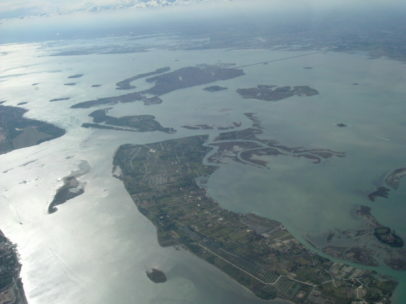 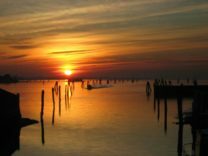 The story tells that the Altino’s inhabitants to escape the barbarian invasions, sought refuge in the islands of the Venetian lagoon and they gave each of them the name of the gates of their town. 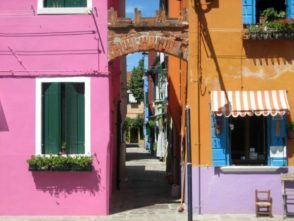 In fact “Burano” comes from Boreana Port because it was in north-east, the direction from which the wind called the Bora blows. 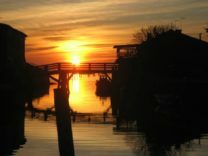 The first houses on the island were real stilts with walls made of woven reeds that were held together by mud as a plaster …. 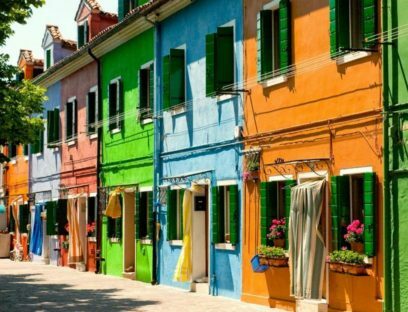 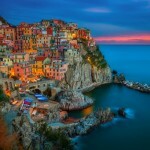 no comparison with the multi-colored houses of Burano of today. 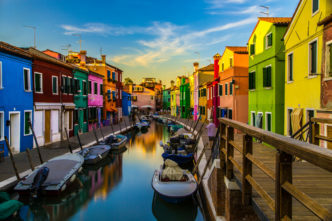 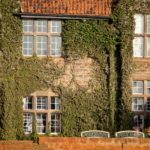 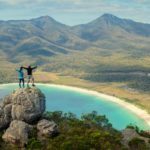 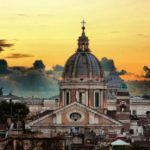 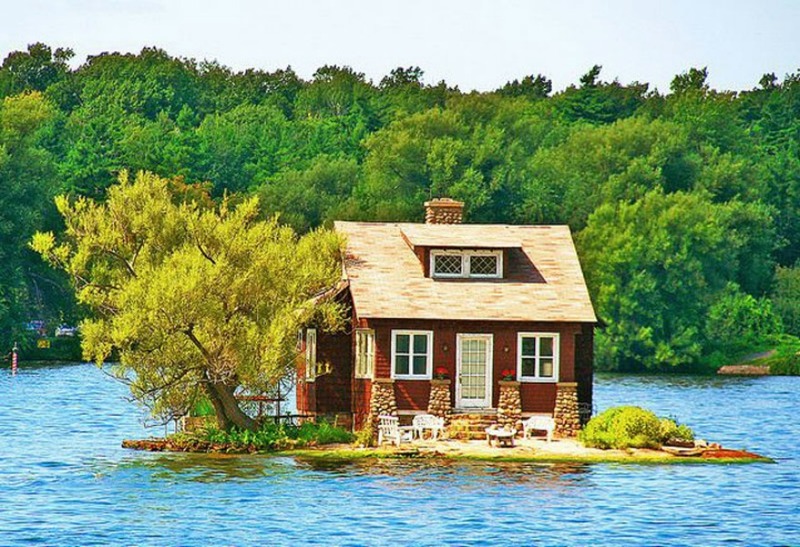 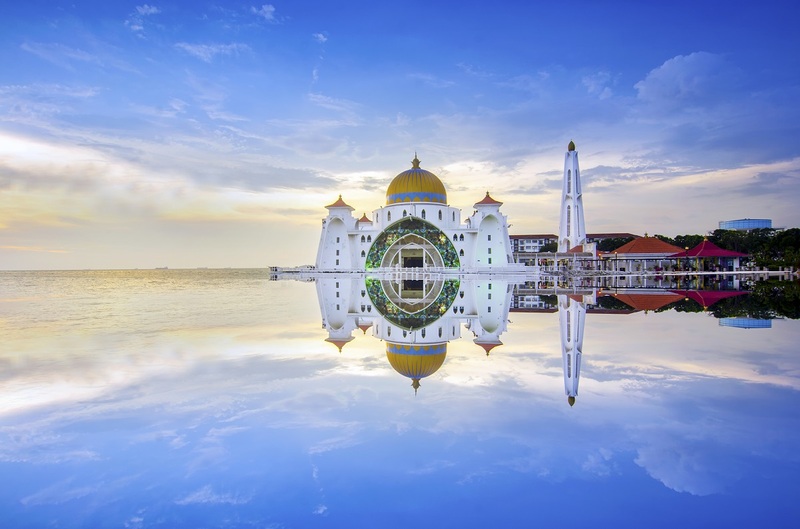 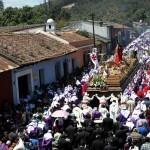 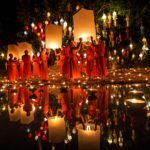 Even today the town is made up of five villages that are connected to each other by bridges and are separated by waterways through which is very impressive to take a tour boat among the multicolored buildings. 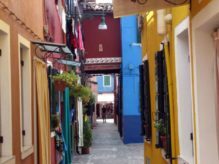 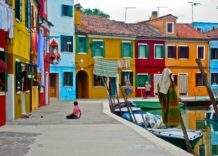 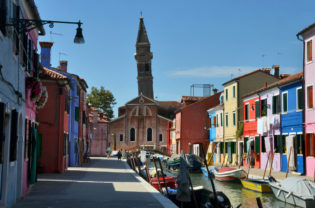 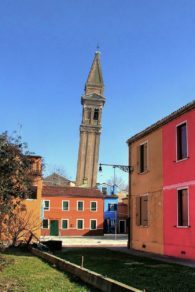 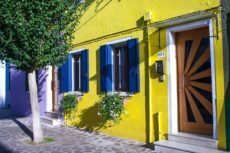 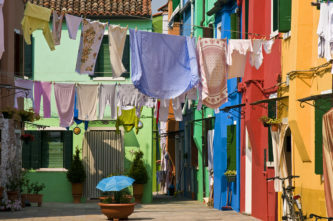 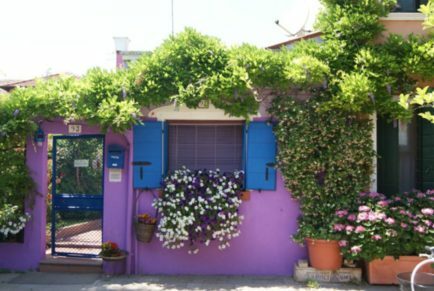 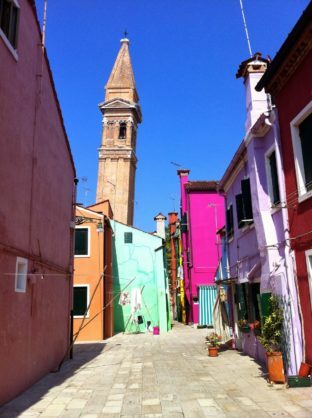 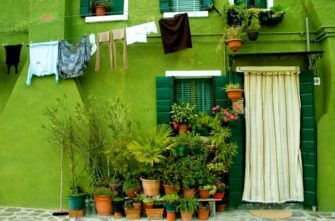 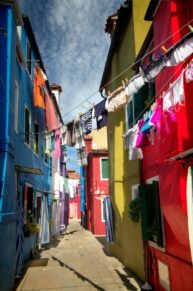 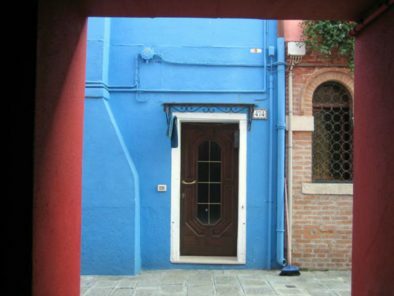 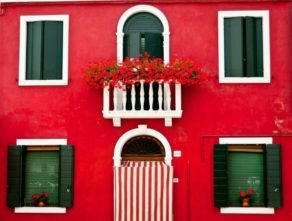 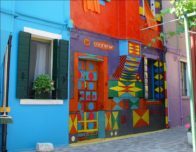 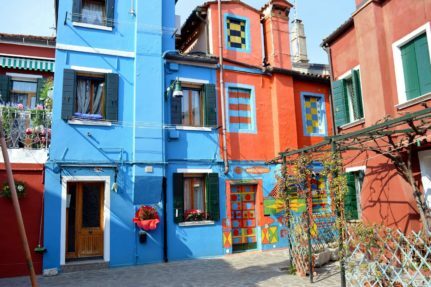 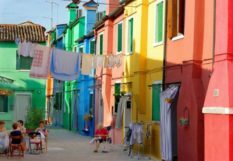 The locals are convinced that the best thing to do in Burano is just go around, in the maze of narrow streets and alleys, surrounded by the many colors of the houses. 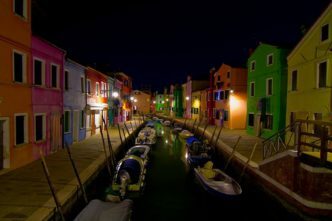 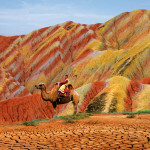 They narrate that originally the colors were used for delimit the individual properties. 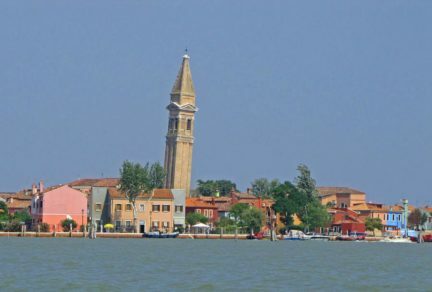 Another peculiarity of this island is the “wrong bell tower”. 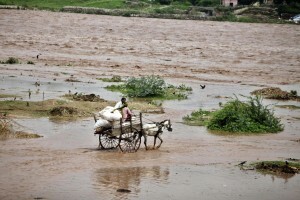 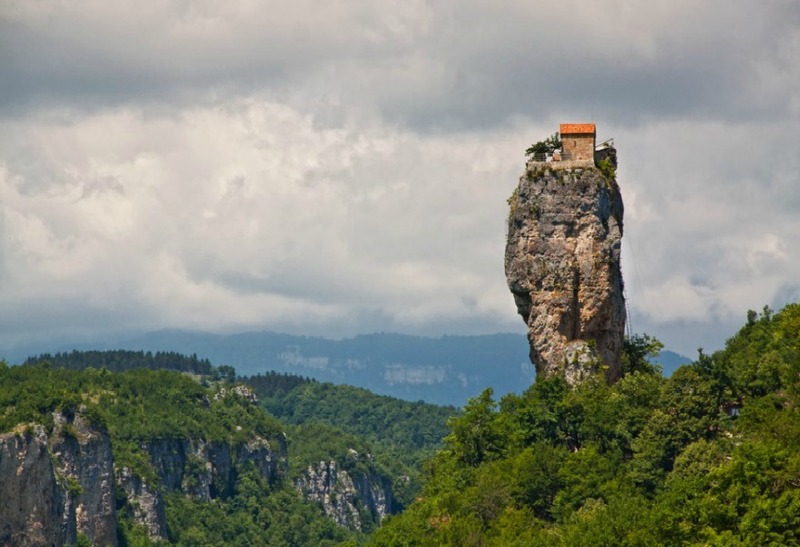 The photos below do not need further explanation …. 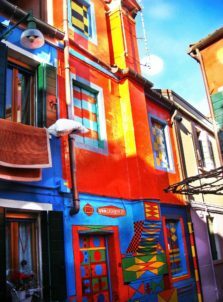 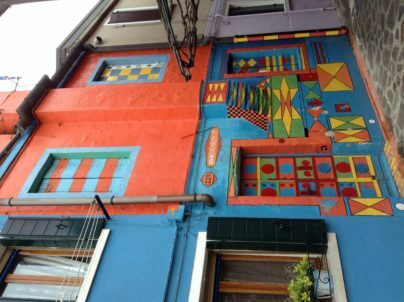 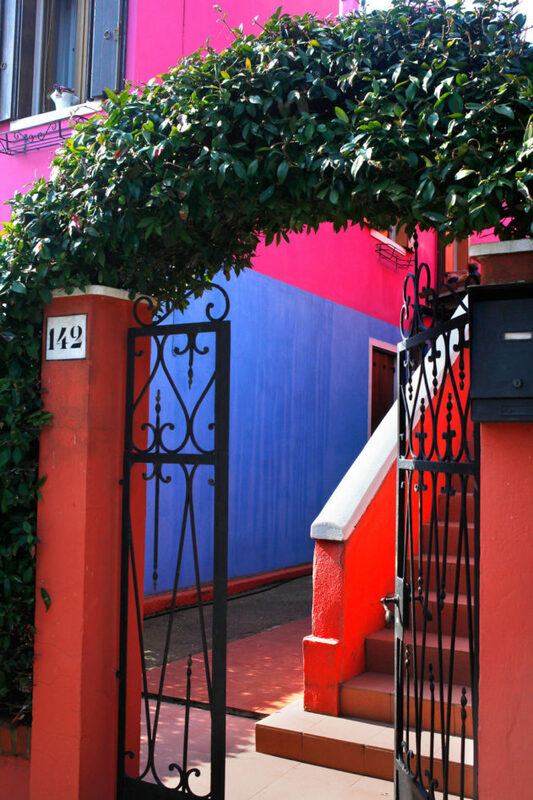 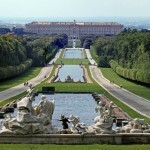 The most famous building is however, the Bepi Suà home, whose real name was Giuseppe Toselli, thanks to his passion for painting, he is still remember today because every summer he used to decorate the outer walls of his house with geometric shapes of any type and with all the colors of the rainbow. 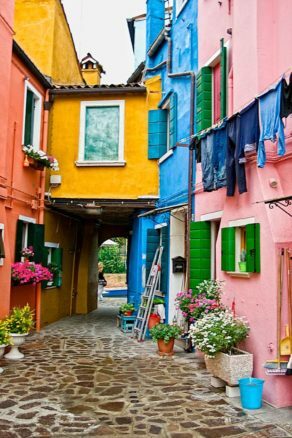 Burano, a magic place: its cheerful colored houses, its narrow streets where visitors “perceive” the relaxed atmosphere, there are old ladies, who chat embroidering, while children move freely cycling, passing under the balconies full of flowers, before reaching fishermen, that at sunset downloading the freshly caught fish! 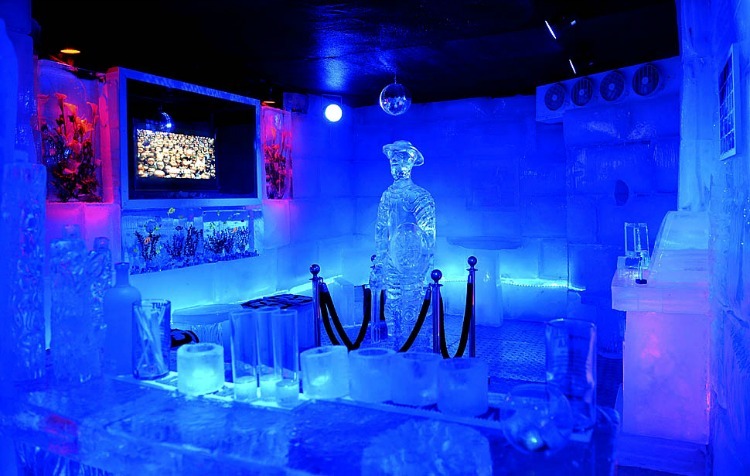 If you have never heard of an ice bar before, then you better keep your hears open and list—more accurately—read what we are about to tell you! 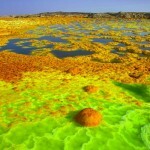 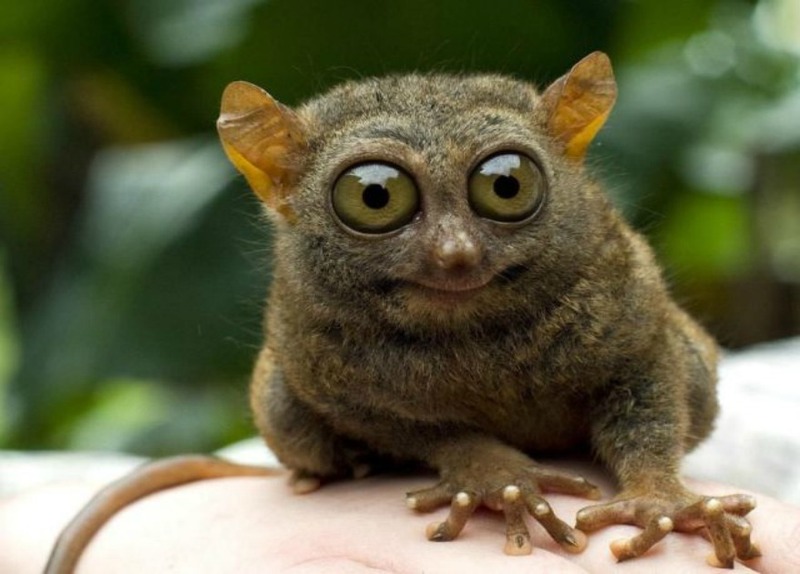 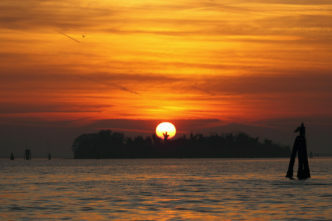 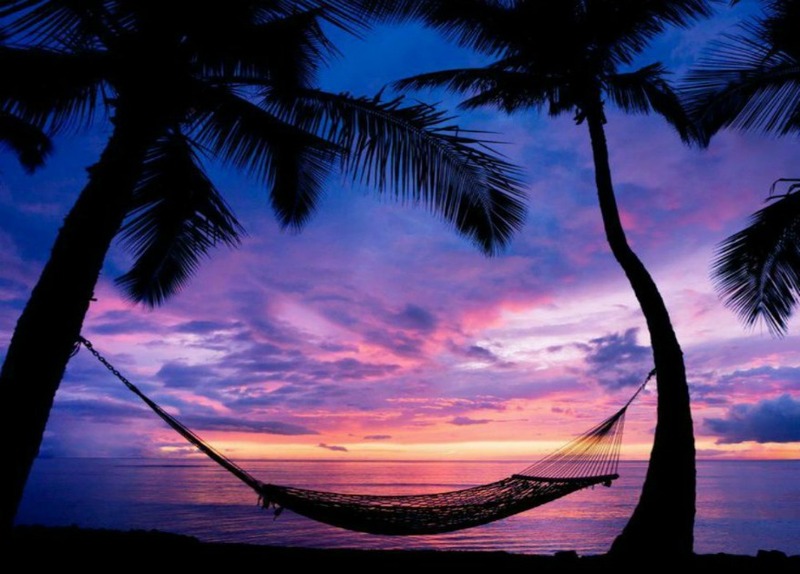 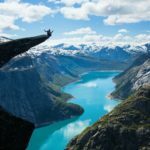 The nature of our planet is wonderful! 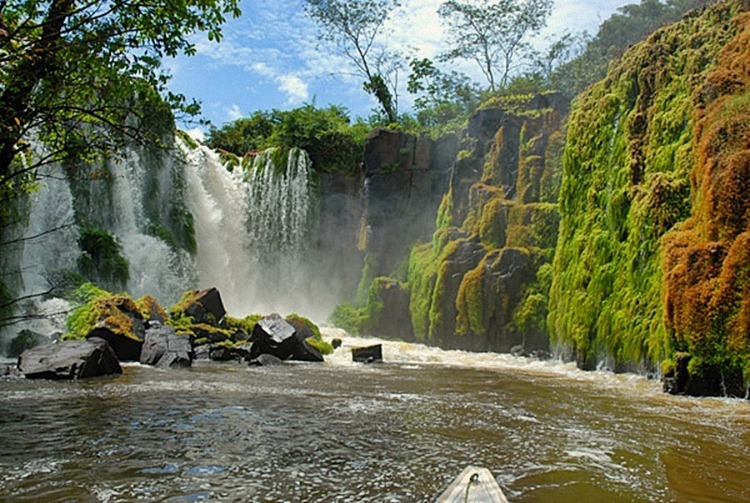 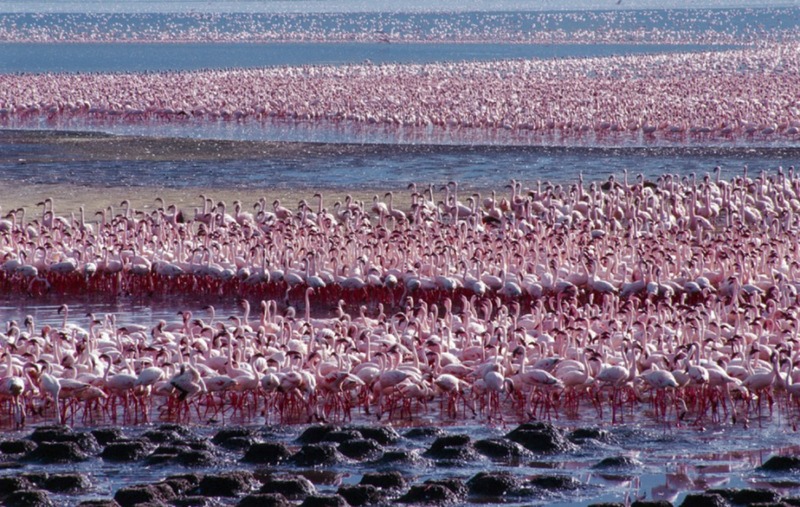 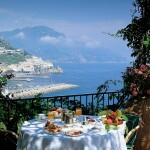 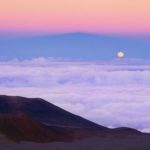 The Golden Scope is always looking for some paradise corners with spectacular flora and wonderful fauna to show you.